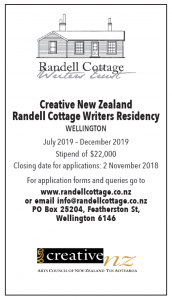 The Randell Cottage Writers Trust is marking National Poetry Day (22 August 2014) with our own online poetry festival, a series of poems by Randell Cottage poets (a term encompassing our residents, trustees and committee members). Our 2004 resident Michael Harlow is a poet, publisher and librettist. Born in the United States, with Greek and Ukrainian heritage, he settled in New Zealand in 1968. 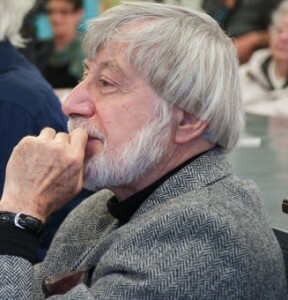 Michael has been editor of the Caxton Press poetry series and poetry editor of Landfall. He’s also been a recipient of the Katherine Mansfield Fellowship and in March 2014 was presented with the 2014 Lauris Edmond Memorial Award for Distinguished Contribution to Poetry in New Zealand. out under the parasols of trees? and the other one ends. of happiness that no one eludes’. This entry was posted in Writers and tagged Poetry festival. Bookmark the permalink.